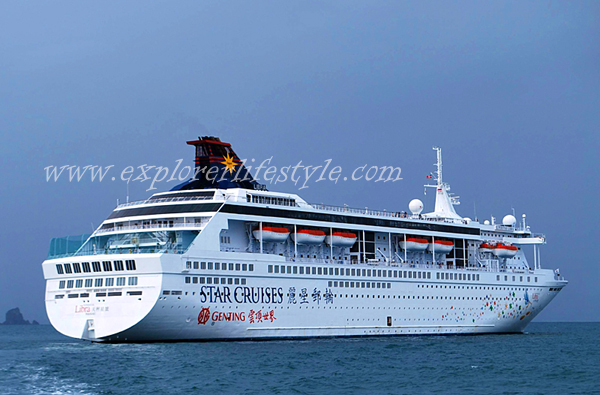 Star Cruise offers Muslim Cruise Packages on Superstar Libra via travel agency Malaysian Harmony since early this year in 2013. 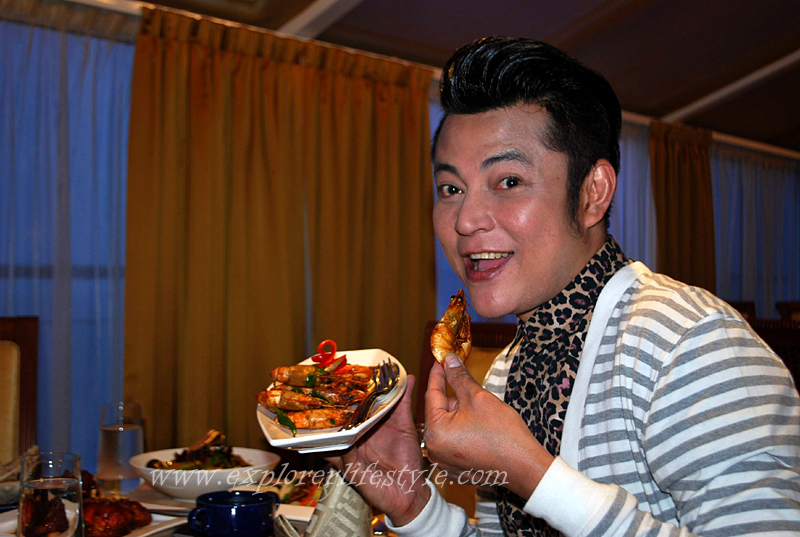 And to initiate this new campaign, the travel company together with Santai Magazine and Malaysian celebrity Datuk Aznil Nawawi or Pak Nil as he is popularly known, organized a media familiarization trip from Penang to Thailand where a total of about 70 media turned up. This 3D/2N cruise which departs from the Port of Penang, arrives at Phuket and then sails towards the beautiful coastal town of Krabi before sailing back to Penang. 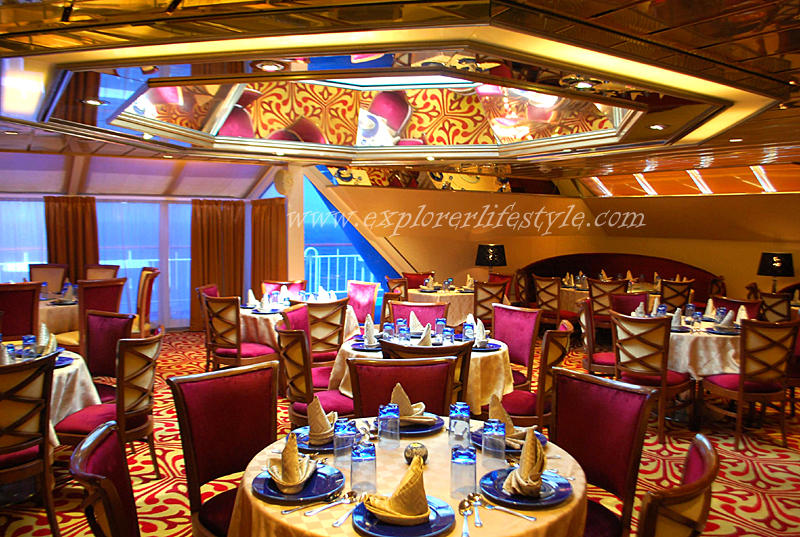 Explorer Lifestyle had the pleasure of joining the media group in early June and the experience was wonderful as we had never been on a cruise before. Boarding the ship for the first time, everyone was welcomed with a nice cold towel and welcome drink from the sweet staff on board. After checking into our cabins, the entire entourage was invited to a special welcome cocktail and mini press conference by the organizers and also Pak Nil. 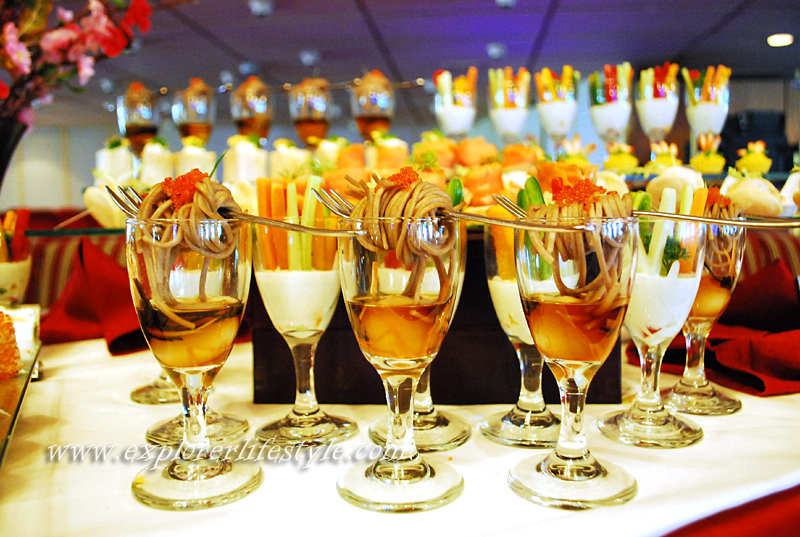 A magnificent spread of appetizers and desserts was served during this session which ended with socializing and mingling among each other. 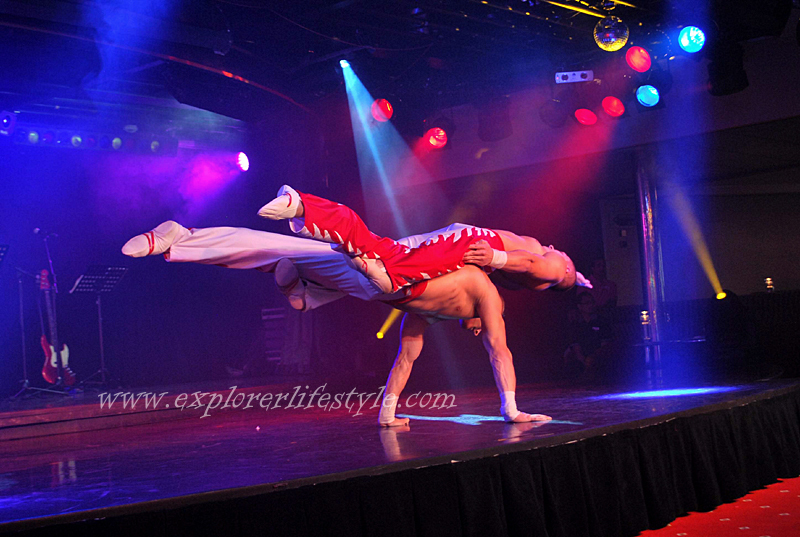 After that, we had a few hours to explore the Superstar Libra before the welcome party on board the ship at about 8 pm. 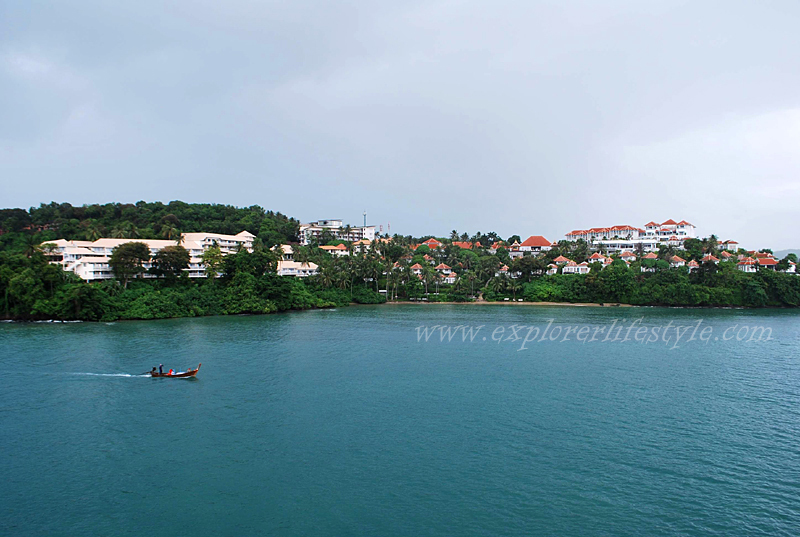 This is something which is not to be missed by everyone if you are going on this cruise. 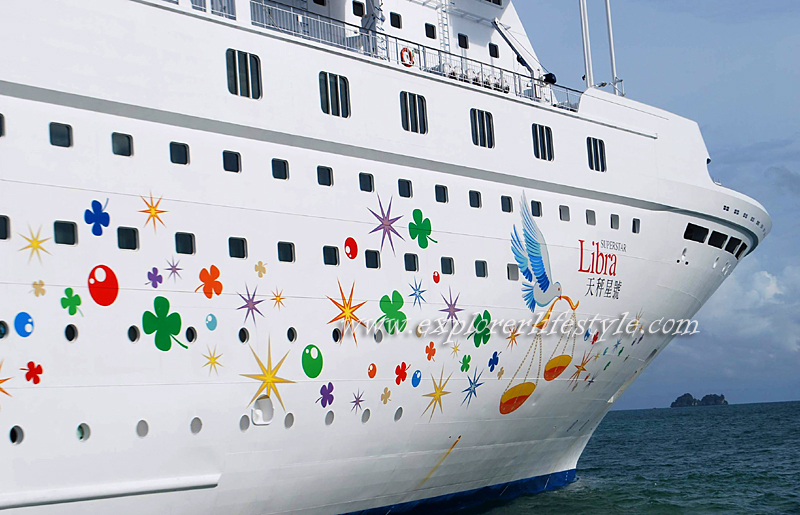 The Superstar Libra welcome party starts with the main host introducing the entire ship and so on. 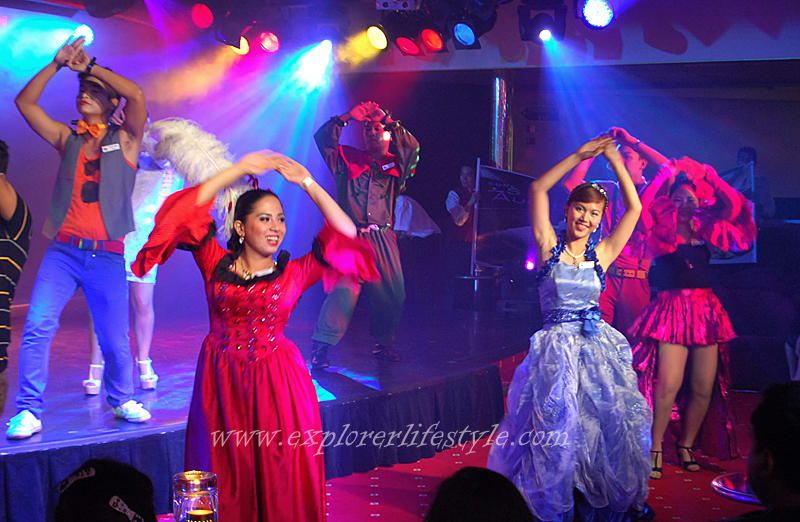 Right after that, a performance is conducted by the ship’s guest hosts followed by previews of the various shows that are available throughout the cruise which are spectacular and not to be missed. All in all, we were pretty impressed with the entire welcoming party. Soon after that, our personal explorations took place where each group went their own ways. Mind you, there are a total of 10 floors on this ship and you can imagine how large this cruise ship is. On board, there are two pools and two Jacuzzi’s on the top deck, a restaurant and bar to compliment the area, there is a duty free shop on the fourth level while there is also a saloon, spa and a Chinese restaurant. 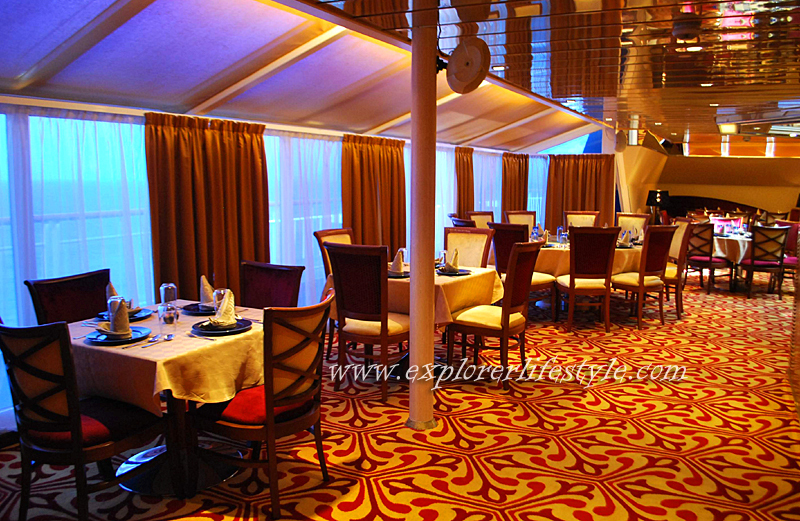 On the 10th floor, there is the first Halal Restaurant on board a cruise ship which is called Spices Restaurant and also a Karaoke and a 24-hour cafe there. 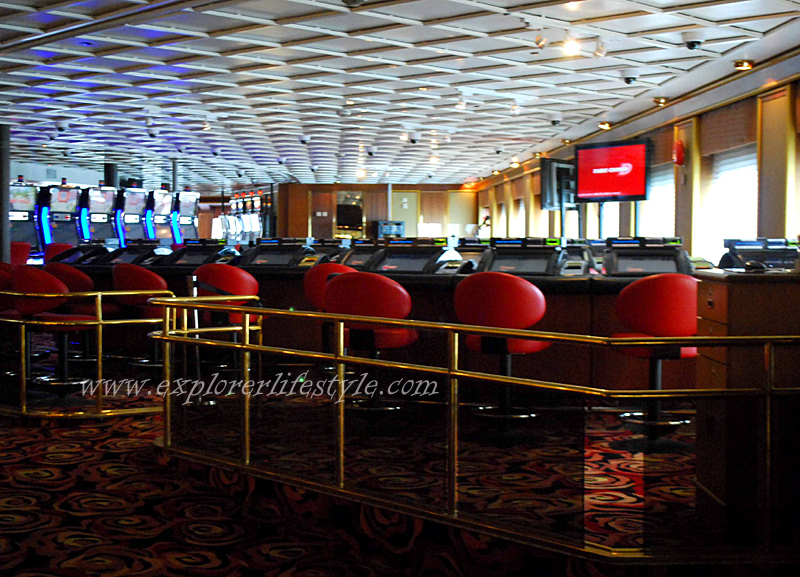 A disco is on the ninth floor while a casino is on the fifth floor of the ship. In three days, I have to admit, I did not manage to finish trying out all the entertainment offered here. During one of the nights, we were all treated to a special halal dinner together with Pak Nil at the Spices Restaurant. According to the Star Cruise representatives, a huge sum was invested into turning this place into a 100% fully halal restaurant. Certificates are also obtained by the cruise operator while brand new cutlery was bought for the place. The food, overall was good. It had a well balanced taste with fresh ingredients used. 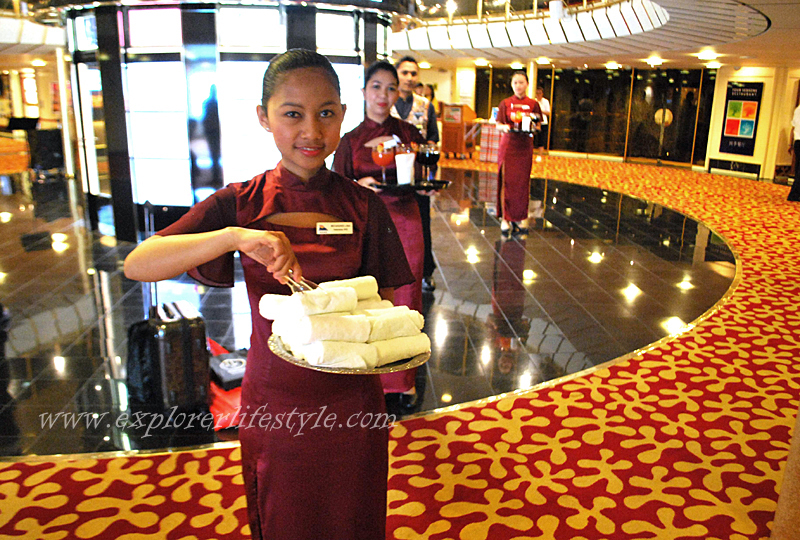 The chef was also a Malaysian Muslim who has been with Star Cruise for many years. The rooms come in various sizes where the most common ones are the standard rooms. 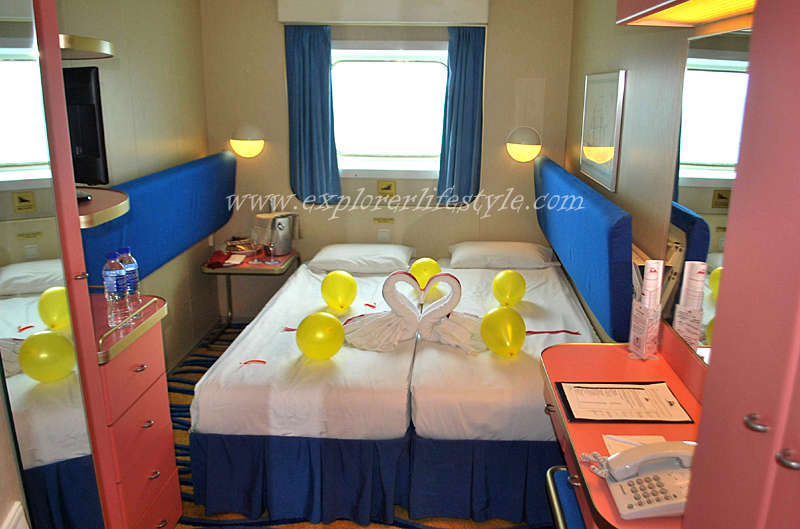 Executive and deluxe suites are also available for those wanting a larger space on the ship. All rooms come with air condition, attached bathroom and a LCD television. In terms of comfortableness, I would say, this is a cruise ship and for me, it was very decent though it looks small. But overall, I has good sleeping nights here. 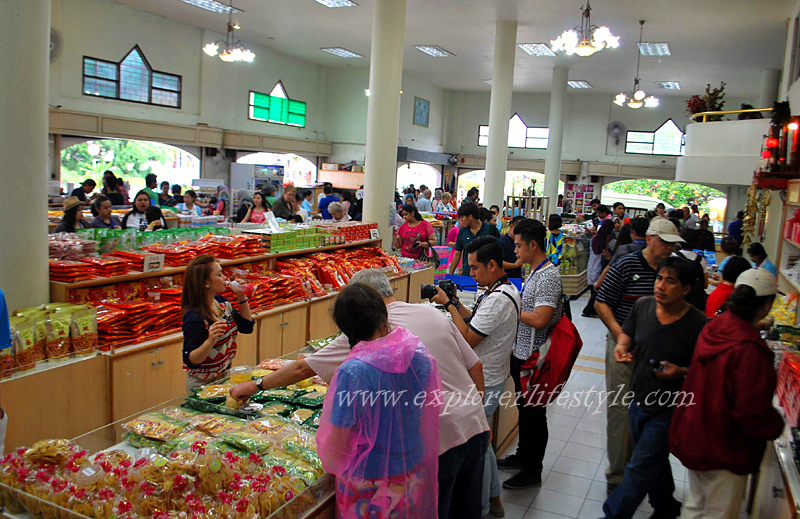 From Phuket, the next stop was the coastal town of Krabi where we were given about six hours to explore the place. 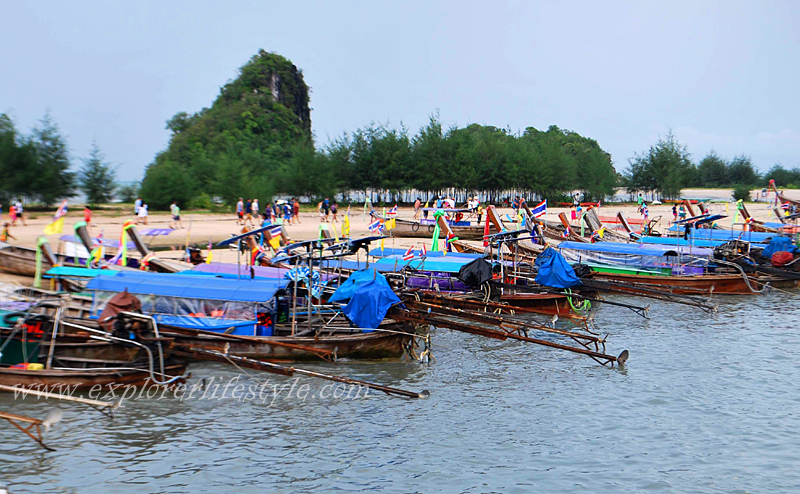 The ship will port out in sea while small ferries will transfer guest towards the main Aonang jetty. 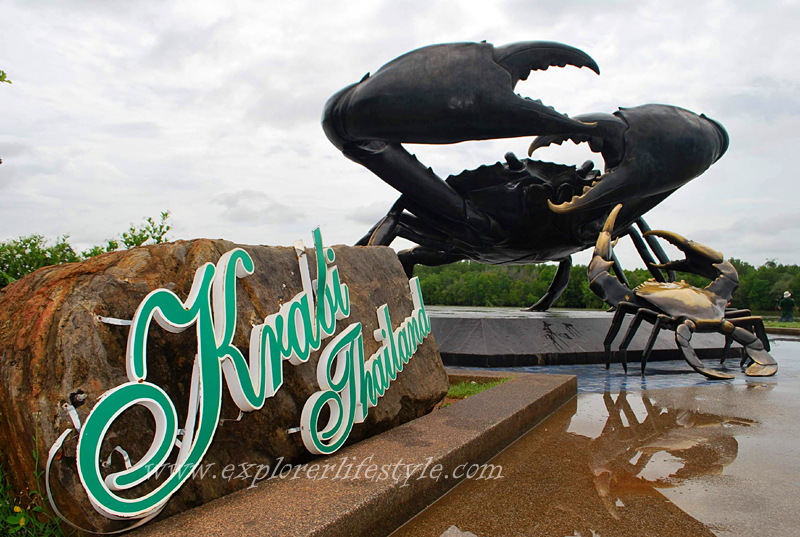 In most normal cruise packages, tours are optional or you can simply explore on your own at both Phuket and Krabi. 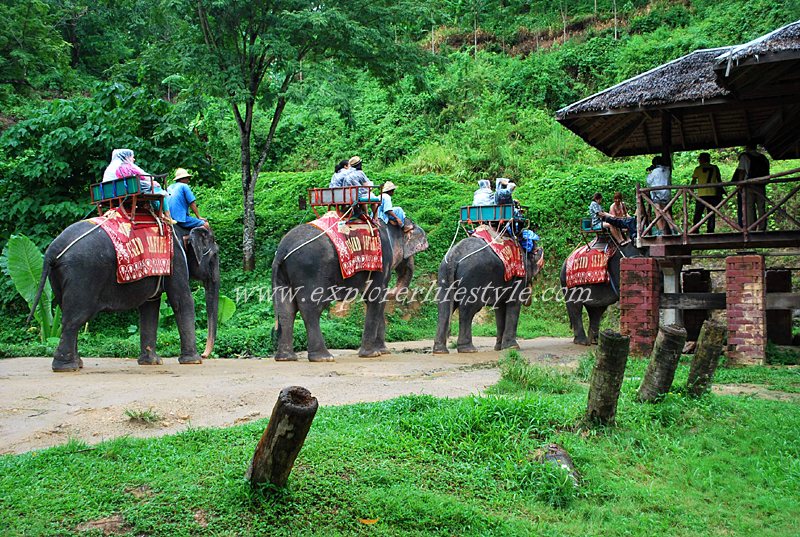 The modes of transport are taxis or Tuk Tuk’s that take you into town and back to the jetty, for a price of course. 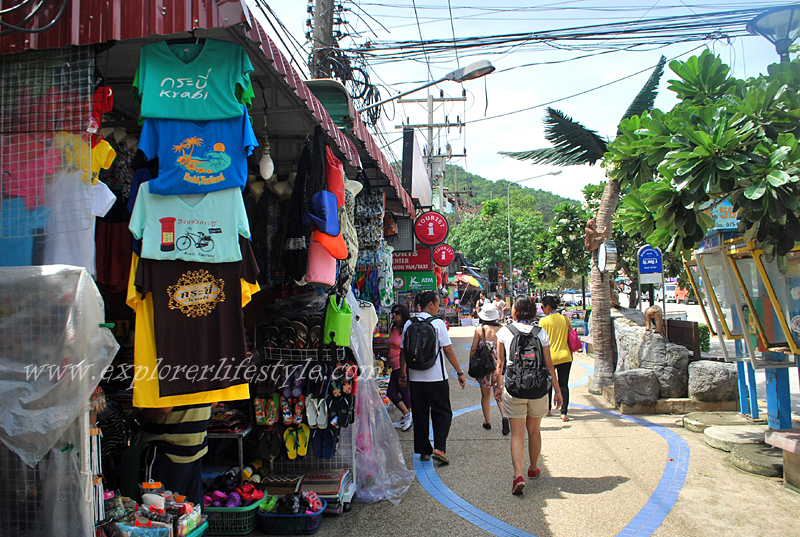 For us, we simply walked around the famous Aonang Walking Street by the beach where shopping and food is easily available. Oh, I did pick up some amazing souvenirs there. 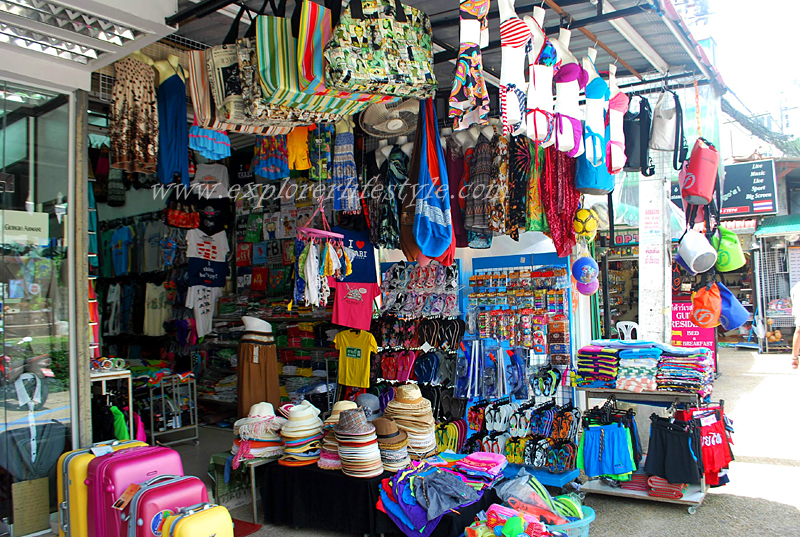 For your added information, there is a pretty good factory outlet store located just out of Aonang in Krabi. 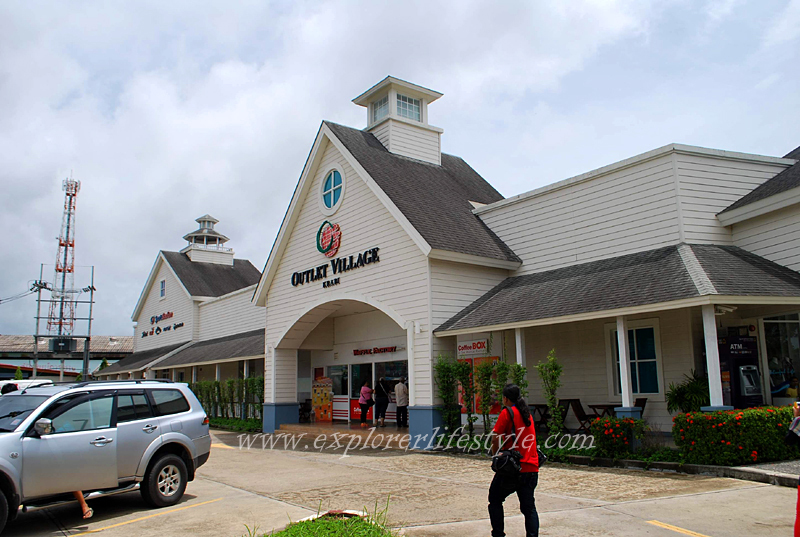 It is called Outlet Village Krabi and most of the items there are quite cheap with many international brands. You need to take a taxi there though. 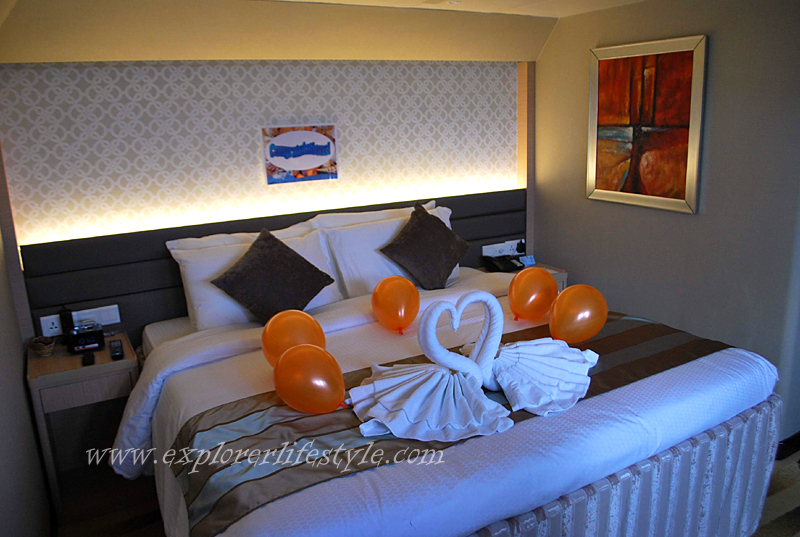 After Krabi, it is an overnight cruise back to Penang but before bed, there is a farewell formal dinner followed by a farewell showcase by the staff of the Superstar Libra. To wrap this up, we did a full tour of the ship which included a guided visit to the bridge of the ship and many other parts of the vessel. The only other place I wanted to go but did not have a chance was the ship’s engine room. 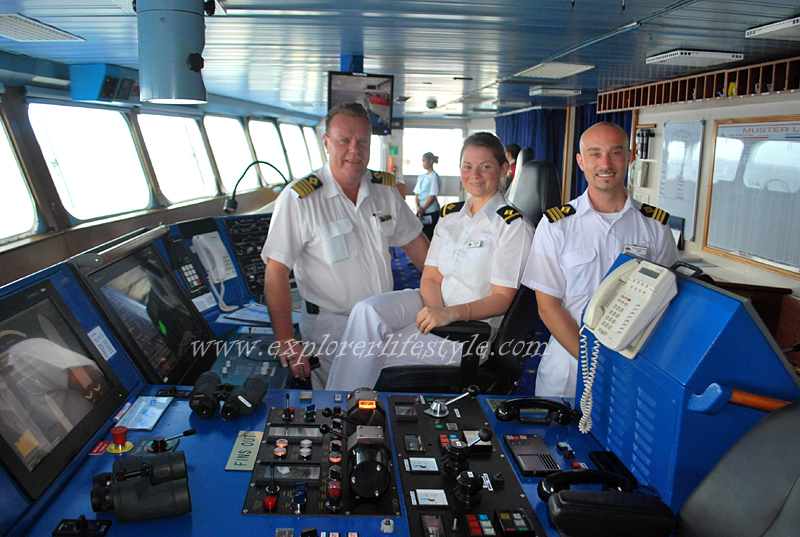 Below are various pictures taken during my Star Cruise Superstar Libra trip to Thailand. 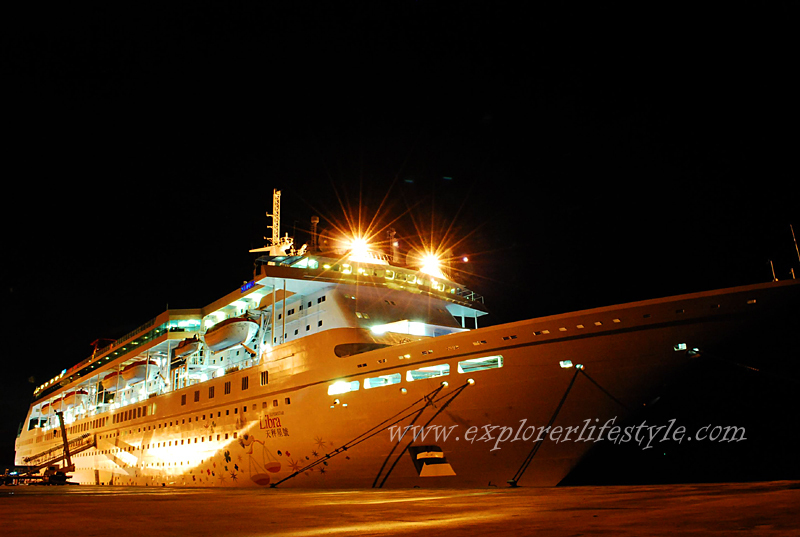 My recommendation – If you have never been on a cruise before, I suggest you try this one that heads to Thailand. 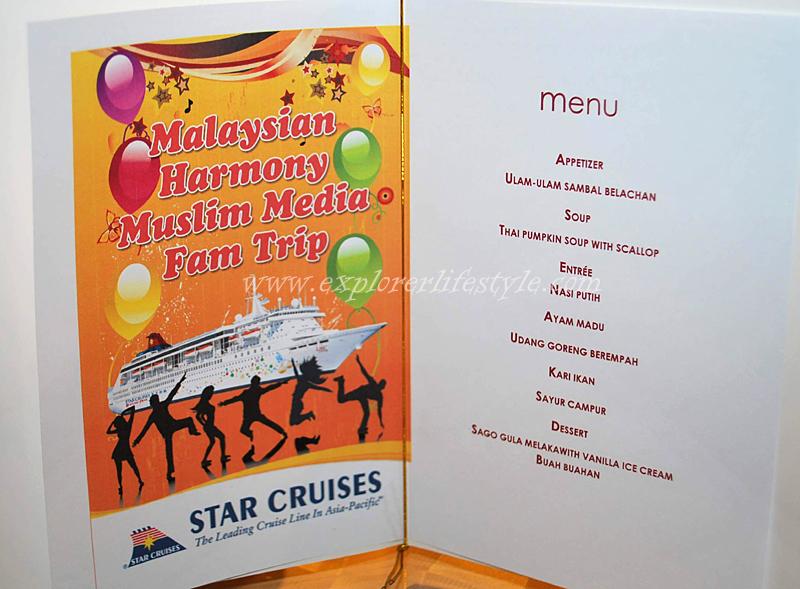 Moreover, if you are Muslim, there is a full Muslim Cruise Package and you can get more information from the Malaysian Harmony Tour Company as they specialize in this. Also, Pak Nil will be having a special Muslim Cruise Package this November which is arranged by Malaysian Harmony therefore if you would like to be on this cruise together with him, please check the website for full details. Another tip from me is to check out the coming Matta Fair September in KL for cruise deals as sometimes, you can get really good prices for cruise packages. Alternatively, you can check out the Malaysian Harmony Booth at the Matta Fair 2013. To end this, I would like to thank M-Mode’s Santai Magazine, Star Cruise and Malaysian Harmony for making this trip possible as this was an eye-opener for me in terms of going for a cruise. Seriously, I had a fantastic time on this cruise while I also made many new friends from the various media who went along. Also thank you to Pak Nil for entertaining us throughout the cruise. (Especially his witty game of Poison Ball or Bola Beracun in Malay). For those wanting additional information about the many other cruises around the region, you can get that from the Star Cruise website. Thawatchai Arunyik will succeed Suraphon Svetasreni as Tourism Authority of Thailand (TAT) governor on December 21. 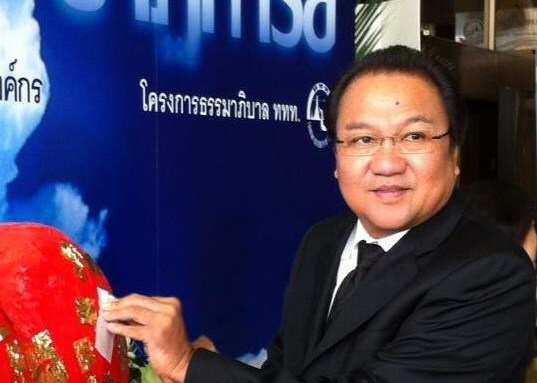 Thawatchai, who currently serves as TAT deputy governor for domestic marketing, has been selected in what described as “the closet governor races” by the selection committee. He won the committee’s decision over only one other candidate, Juthaporn Rerngronasa, TAT deputy governor international marketing for Europe, Africa, the Middle East and the Americas. outgoing governor Suraphon Svetasreni.The 58-year-old, who has been with the TAT for 30 years, was selected due to his leadership qualification and vision that the selection committee pointed out as essential in helping to propel the authority forward in the challenging tourism industry, according to Pensuda Prai-aram, chairman of the TAT’s board of directors. Suwat Sidthilaw, permanent secretary of the Ministry of Tourism and Sports, who chaired the selection committee, said Thawatchai demonstrated high confidence and leadership during the candidate presentation. As new TAT Governer, Thawatchai Arunyik will be tasked to continue working on current TAT’s strategy, including the plan to meet the Thai government’s tourism revenue target of two trillion baht by 2015.